Paleo Apple Pecan Coconut Crisp (V, GF): a super crisp, nutty topping blanketing warm, apple cinnamon-spiced filling. Vegan, Paleo, Gluten-Free, Dairy-Free. Did I tell you we were going to get our Fall on or what? Let’s welcome fall with our open arms, open mouths (what a visual), and open forks! 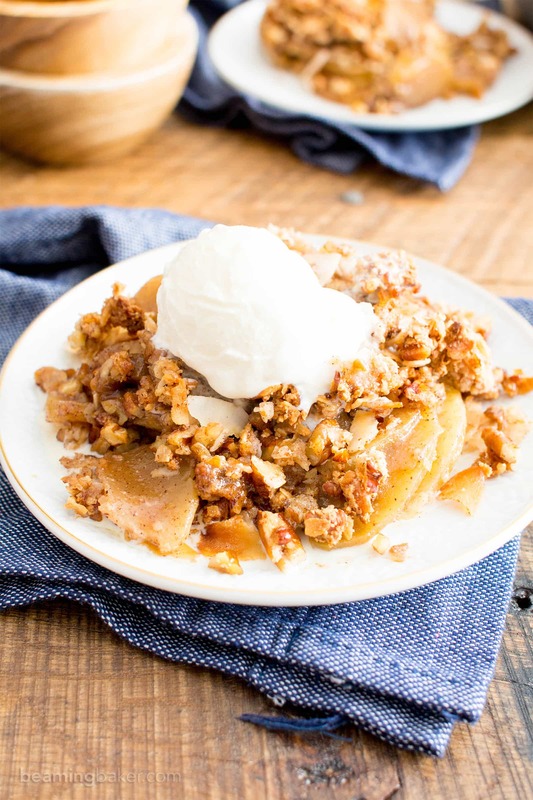 Now, go ahead and spear that fork right into a nice, warm, gooey, crispy, and ridiculously-off-the-charts-comforting Paleo Apple Pecan Coconut Crisp. There are just a few things that make fall so goshdarn wonderful. Alright, there are many things that make it wonderful. Say: thick, cozy socks with little orange and brown pom poms on it, apple picking with the family, all those freaking yummy fall-exclusive drinks at you know where, pumpkin pie (or pumpkin pie smoothies), candy apples, healthy homemade granola, bright red, orange and the colors in-between leaves, pumpkin bread, then chocolate pumpkin bread, then pumpkin muffins and, you guessed it: apple crisp. Basically, fall is when we all turn into bears. Freaking cozy bears with mugs of apple cider! So this paleo apple pecan coconut crisp started pretty innocently as a regular ‘ol gluten free apple crisp. There were oats involved, hopes for a beautiful crumble top that even Betty Crocker would be giving me the stinkeye for at the local bake-off. As if she would stoop to my level. In some cases, it works just fine to replace butter; in others, well, in others I’d like to give it a few choice words. In the case of making a deliciously crispy crumble topping, it was not to be. At least not with the ingredients I knew were traditionally expected. So after Erik and I peeled apples til our eyes were crossed joyfully reveled in the delight that is peeling and coring 20 apples for those sanity questioning incredibly educational apple crisp trials, I decided to change directions. Sometimes, you just have to scrap everything you know and start fresh. Forget tradition, forget what you think you knew. And just go at it like you’re a newborn baby (but not because babies should not have to suffer the “joy” that is apple peeling and coring). So after Erik begrudgingly bemoaned playfully and happily agreed to help peel more apples with me, we began again. One thing I learned from the previous merrymaking trials was how little added sugar I could use to still create a gooey and perfectly sweet apple filling. SCORE one for the Apple Haters Peelers!!! Now that I had the apple filling nailed down, all I needed to figure out was the topping. I went around the internet, searching for the most negative feedback on traditional apple crisp recipes. One thing I learned: people really don’t like a non-crispy topping. What do ya know? As such, one of my number one goals (yes you can have several), was: Make a Crispy Topping. In sentence case and everything. It was much more difficult than it seems, unfortunately. After some soul searching (I’m a baker, what can I say), a few semi-snide passive aggressive comments lovingly traded between me and Erik, then a few be-cool-guys-don’t-let-the-apples-get-to-you BB team talks, I had an epiphany. 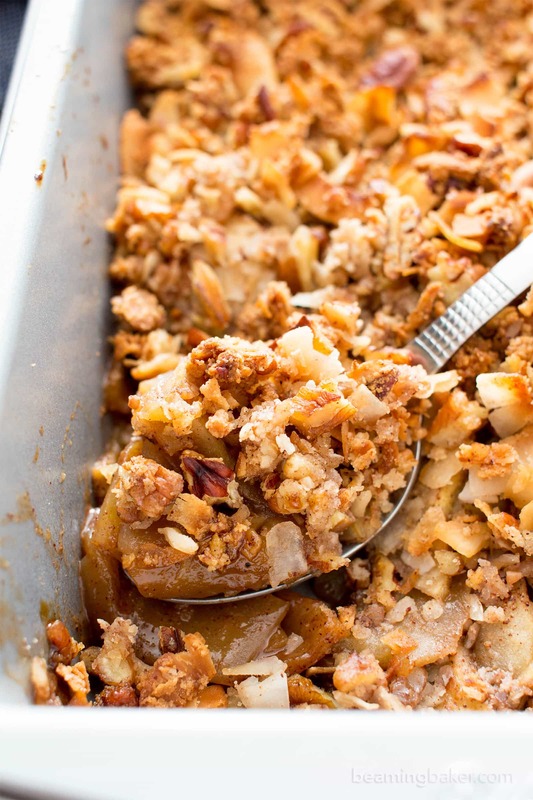 Let’s make this apple crisp PALEO. YES!!! Throw away the flour, throw away the grains, and start fresh. But, don’t throw stuff away because it’s expensive and that’s wasteful. Just… throw it away figuratively. The grains and the flour were totally slowing me down (and so was all of that goshdarn apple peeling). I thought to a few different recipes I’d recently developed: homemade KIND Bars and the soon to be published Paleo Granola. One of the best things about those two recipes were: the super, ridiculously low amount of added sugar + the unparalleled crispy vibes. Yes, unparalleled. 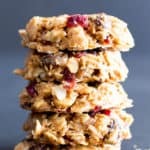 So I realized: why not use elements from my KIND bars and granola to create a crisp AF (let’s just say this means “as fudge” even though that doesn’t make sense… contextually) top for this Paleo Apple Pecan Coconut Crisp? 😉 And that’s when it all started coming together. Erik would cancel plans for our would-be backyard apple grove (to offset apple costs). I would cancel my order for a bulk-size pack of apple peelers. And we could each stop writing down better comebacks/clapbacks to each other for the next round of passive aggressive apple-peeling induced jabs. 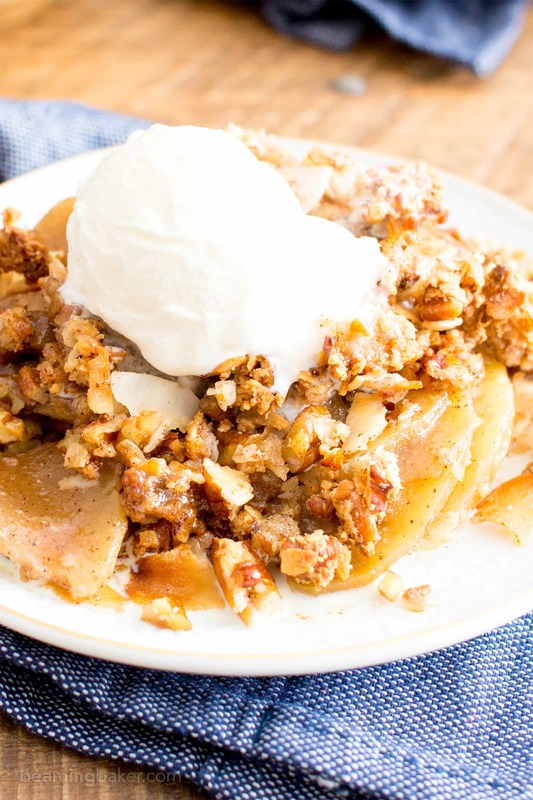 Paleo Apple Pecan Coconut Crisp Recipe (V, GF): a super crisp, nutty topping blanketing warm, apple cinnamon-spiced filling. Vegan, Paleo, Gluten-Free, Dairy Free. Preheat oven to 350°F. Grease an 8-inch square baking pan with coconut oil. Set aside. In a large bowl, add all Filling ingredients: apples, coconut sugar, maple syrup, almond flour, cinnamon, nutmeg and vanilla extract. Using a rubber spatula, stir and fold until apples are fully coated and sugar has dissolved. 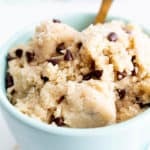 If your mixture isn’t very wet, add in water—you’ll want to see 1-2 tablespoons liquid at the bottom of your mixing bowl. I used 1 ½ tablespoons water in mine. Pour this mixture into the prepared baking pan. Use the spatula to smooth apples into an even layer. Add all Topping ingredients to a medium bowl. Using a fork, stir and fold until crumbles form. 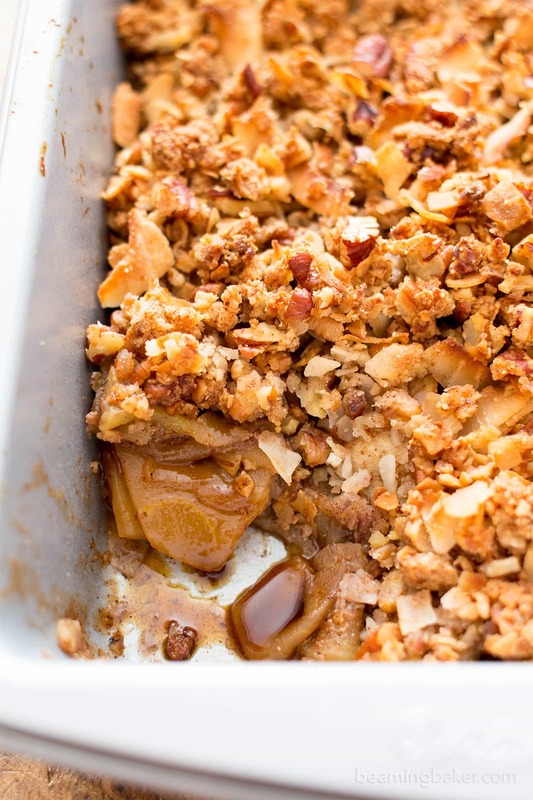 Gently spoon evenly over apples, making sure to keep crumbles intact. Bake for 40-60 minutes. Mine took 45 minutes. It’s done when the top is a deep golden brown and the juice around the filling has thickened. To test, use a spoon to carefully lift up a corner of the crisp to see the juices. If it's still watery, bake for another 5 minutes. Allow to cool for 10-15 mins. Serve warm with a scoop with dairy-free ice cream on top. Enjoy! Storing instructions below. - *I like to use a mix of apples: Braeburn, Fuji, Gala, and Granny Smith. - Refrigerator storing notes: Cover with foil, or transfer to an airtight container. Store in the refrigerator for up to 1 week. Reheat before serving. - Room temperature storing notes: Cover with foil and store at room temperature for up to 2 days. The topping is more likely to stay crispy if stored at room temperature. - To freeze: place in an airtight, freezer-friendly container for up to 2 weeks. Heat in 30-second increments until the filling is warm. - More cozy Fall recipes: chocolate pumpkin bread, pecan brownies, maple cinnamon roasted pecans (paleo). That looks amazing! I will have to try that when I’m done with my Whole30. Made this when my In-Laws were visiting. This was super easy and it is absolutely delicious!! My MIL even asked for the recipe!! 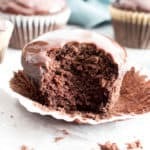 Thank you for sharing this recipe is definitely a must have! FYI I didn’t cover mine with tin foil and it turned out awesome! Also, the more variety of apples you can use, the better!! Oh, when your MIL asks for the recipe, that’s when you KNOW it’s a winner! 😉 So happy to hear that you and your in-laws enjoyed this. So much YES on the variety of apples. Happy Baking! Can’t wait to try this! Due to gluten sensitivity issues, I have been trying to bake on the healthier side using a few different flours and gluten-free oats (thank you Trader Joe’s) so I truly appreciate your recipes and their simplicity (not crazy or costly ingredients.) I have loved every thing I have made from your site! Thank you so much. 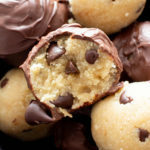 It is absolutely my pleasure to create allergy-friendly treats for you. Hugs! 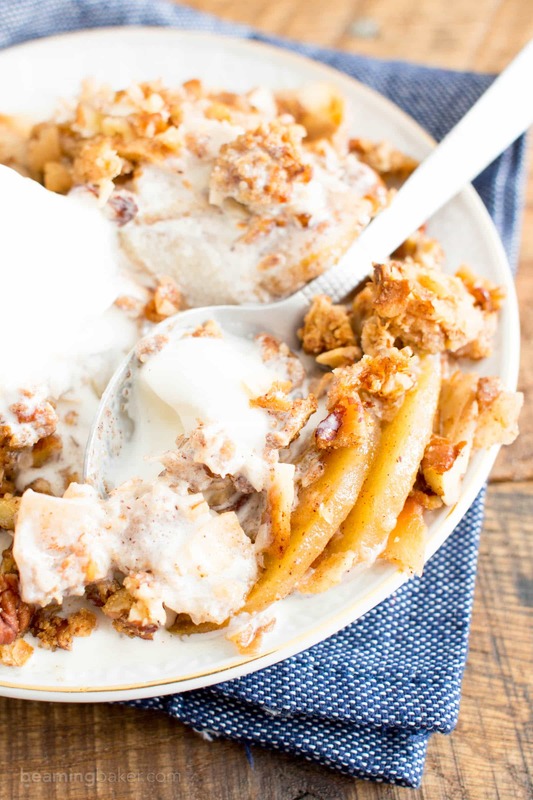 Apple crisp is one of my all time favorite desserts! I love the addition of coconut and pecans, can’t wait to try it in my next batch! Oh yeah!! Can’t wait to hear what you think–coconut and pecans are big around these parts! 😉 Enjoy! I really love apple and cinnamon, and with a dash of vanilla, it’s my favorite flavor. And this turned so much better than I expected. Thank you for sharing. I have to avoid nuts due to a breastfeeding elimination diet. 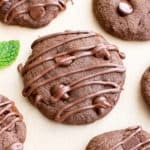 Could I substitute coconut flour in place of almond flour and add extra coconut flakes instead of pecans? Thanks in advance, this looks delicious!!! Hmm… this might be a bit tricky, Jillian. You could possibly try the following (no guarantees on the results though): sub the almond flour with equal amounts sunflower seed meal (hopefully seeds are okay), then sub the pecans with coconut. Good luck! P.S. I definitely would not recommend using coconut flour. It’s very unpredictable. Thanks for this delicious crispy apple crisp. I have tried several recipes but I am one of those who prefers the crispy, crunchy topping and you nailed it with this recipe. I was short on pecans so I mixed in chopped walnuts. I love the coconut and maple syrup added to the topping. 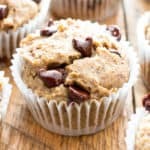 Thank you for FINALLY providing a great Paleo Grain Free recipe! Hi Sheri! I’m so happy that you enjoyed my recipe. 🙂 Actually, it was one of my TOP goals to achieve that crunchy top. I literally tapped a spoon on the top as the ultimate test (dorky, I know haha): if I could actually hear how crunchy is was, then my recipe was done! 🙂 Thanks for taking the time to let me know the spoon test works! 😉 Happy Paleo Baking! This looks absolutely delicious. I have an allergy to almonds. 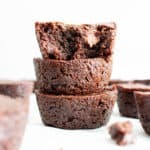 What would be a good substitute for almond flour? Possibly just gluten free flour? I think coconut flour is to heavy compared to almond. I used a lot of almond flour before I found out about the allergy. 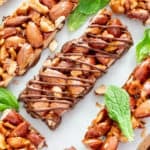 Is there anyway to substitute the pecans with walnuts?? Hi Amy, subbing the pecans with an equal amount of chopped walnuts should work just fine. 🙂 Can’t wait to hear how it turns out! I’ve had this recipe bookmarked for at least 2 months and I finally made it. It was great!I like this one better than a crisp with oatmeal. And it is just sweet enough to satisfy the sugar cravings.I didn’t use the ice cream either. I used walnuts instead of pecans because that is what I had. The last time I bought nuts at the bulk bin the walnuts were on sale for about $5.00 a pound and the pecans were $10.00 a pound. Easy choice for me. Hi Lisa, so happy to hear you finally whipped this up! (And especially that it did not disappoint!) 🙂 Walnut vs. pecans: oh, I totally feel you! Sometimes it makes much more financial sense to swap the nuts. Thanks for reporting back. Enjoy! 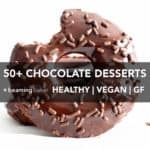 I am currently on a non-dairy, non-gluten, non-refined sugar dairy and was so thrilled to find this recipe. I make a mean apple crumble (albeit with butter and brown sugar and flour). But your recipe hit the spot. It is fantastic. You don’t even notice that the usual ingredients are missing. Awesome job! Thank you so much! Looks great! But, I’m allergic to nuts (as in can’t use almond flour….. ugh.) .. what would you suggest to substitute??? Thank you! Try sunflower seed meal! 🙂 Can’t wait to hear what you think! Yum! This looks so good! I cant wait to try it! Awesome! Hope you enjoy Suzanne! You’re very welcome Vanessa! ☺️ I wouldn’t recommend making it too far in advance, as it tasted best the first day. Hope this helps! We did a “Thanksgiving in August’ last night for family since my entire family won’t be together for the holiday. A handful of people are trying to watch their sugar intake so I wanted to make something that fit their dietary needs. And then there were people who are die hard apple pie lovers, and I wanted to make sure they enjoyed it too. Needless to say, it was a hit! Next time, I would add maybe one or two more apples to make it “heartier” since there’s no grains in this. Thank you for such a wonderful recipe! Omigosh, Thanksgiving in August sounds like so much fun!! What a great idea to celebrate the holidays early since you’re all together. 🙂 So happy everyone enjoyed it! Can this recipe be double, and still use the same cooking time? Hi Ilene! 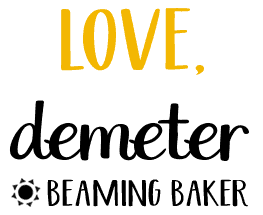 You’d most likely have to increase the baking time, but I’m not sure by how much. Start with an extra 5 minutes or so and check it regularly. Good luck! Perfect timing. 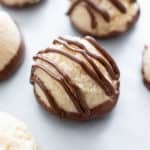 I just found your site and am making this for a girls night this weekend. A quick question. Do you add a drizzle of butter (love your comment on coconut oil in place of butter ????) on the topping before baking? This was amazing and made SUCH a good breakfast this morning in wintery UK. Thank you! Yay! ???? I’m so thrilled to hear it Rowena!